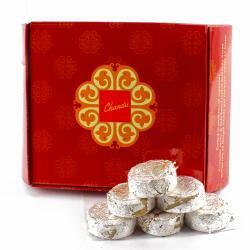 Product Consists : Kesar Kaju Katli Sweet (Weight : 500 gms). 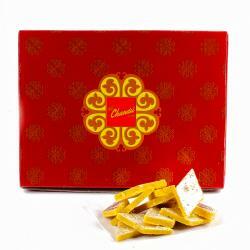 Kaju Kesar Katli from Puranmal Sweets is the most famous and popular mithai. 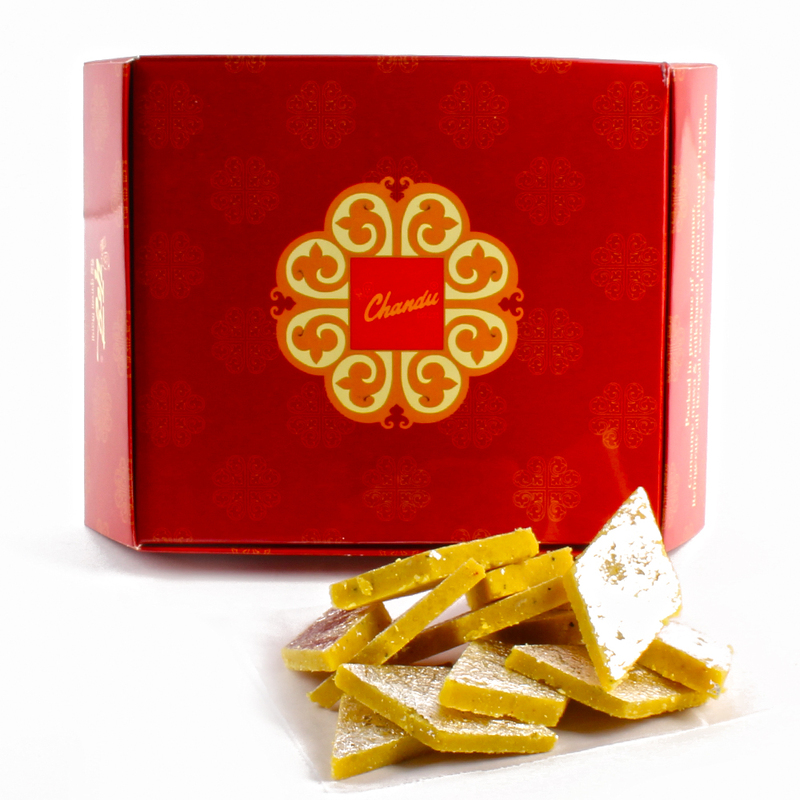 Sweets are an integral part of every Indian festival and you cannot miss out on them It is extensively gifted on all festival Kandoi specialises in making delectable Kesar Kaju Katli which are as good in taste as they look. 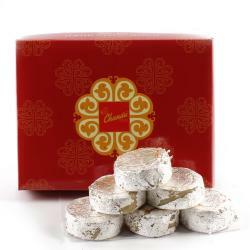 These silvery sweets are made from cashew nut powder, pure ghee, saffron, cardamom powder, sugar and silver leaves and will surely add wonders to your celebrations You can order this yummy Kesar Kaju Katli on occassions such as Diwali, Holi, Rakshabandhan, Ganesh festival and many More. 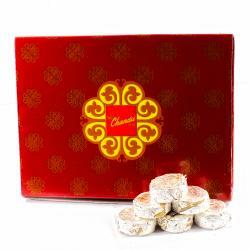 Product Consists : Box of Chandu Halwai Kesar Kaju Katli Sweet (Weight : 500 gms).